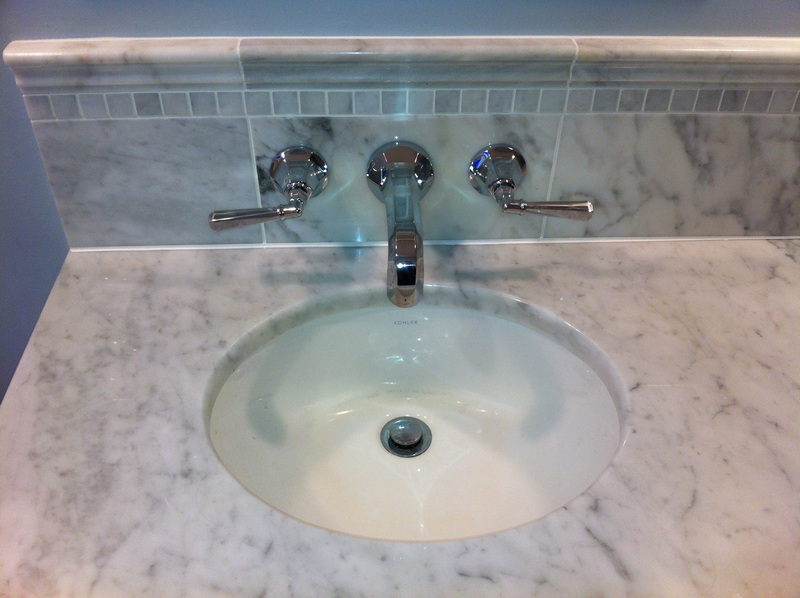 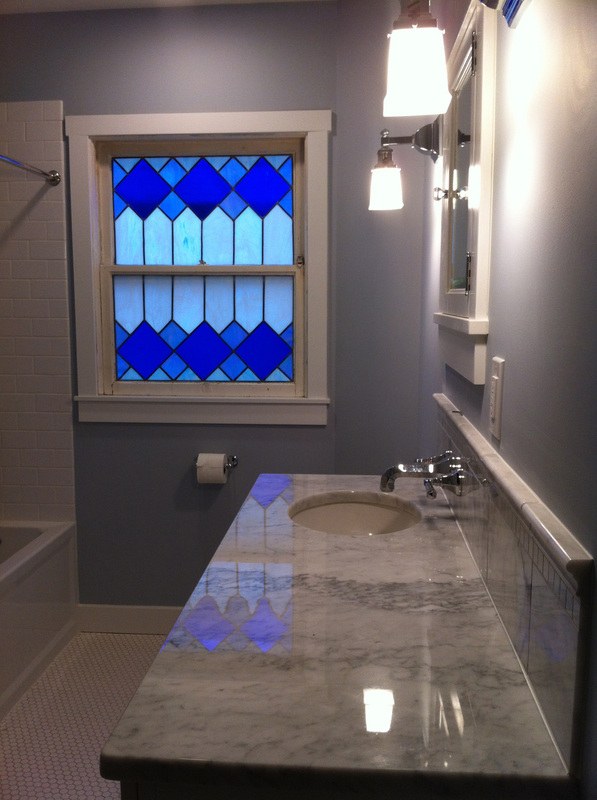 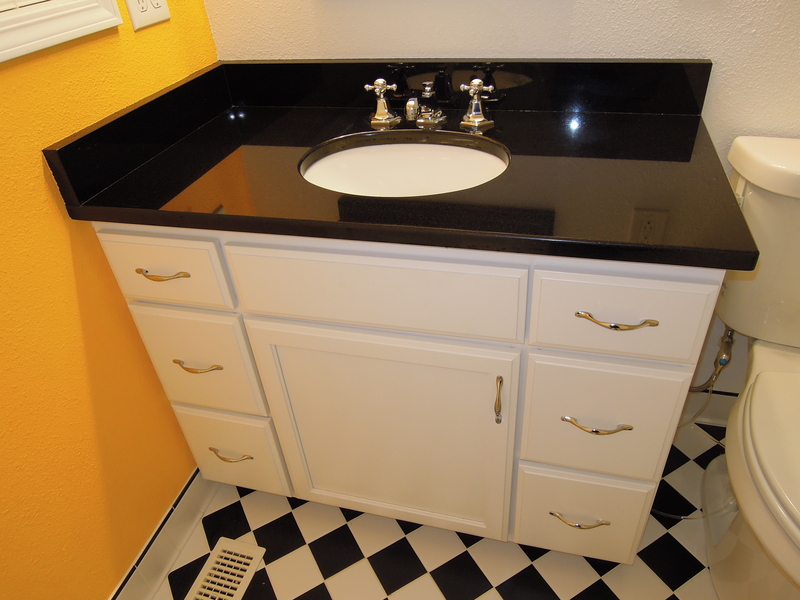 Undermount sink | Alex Freddi Construction, LLC. 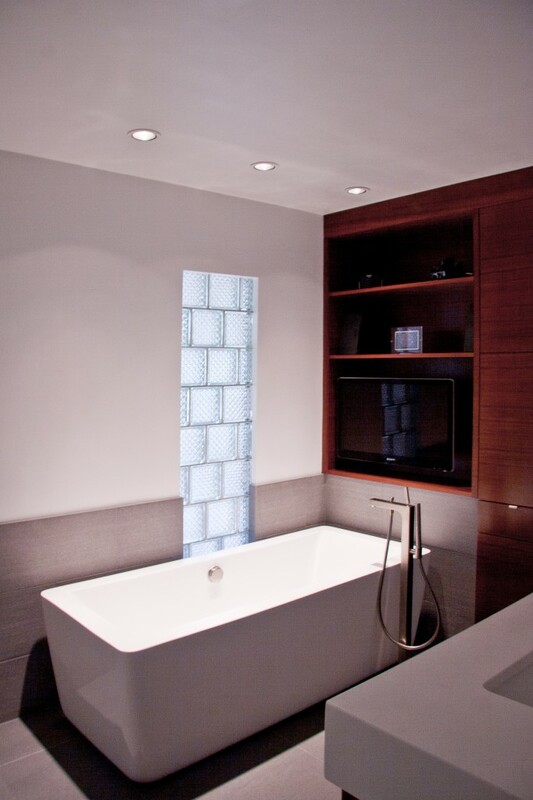 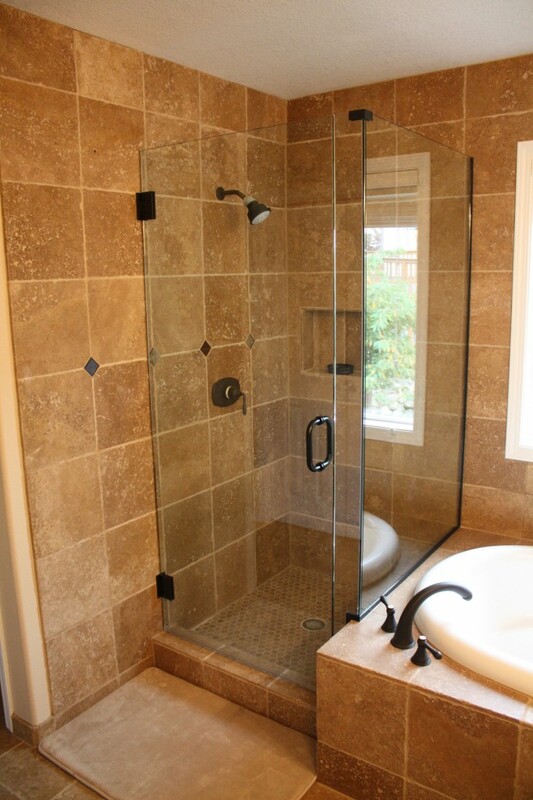 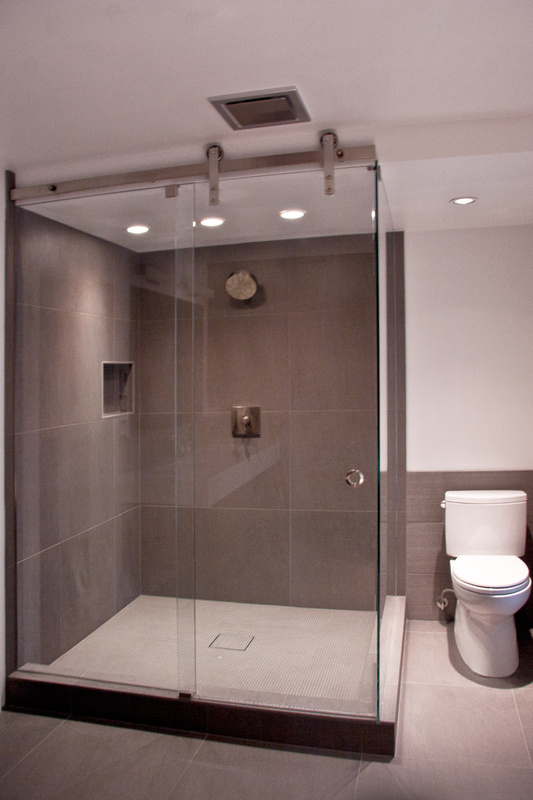 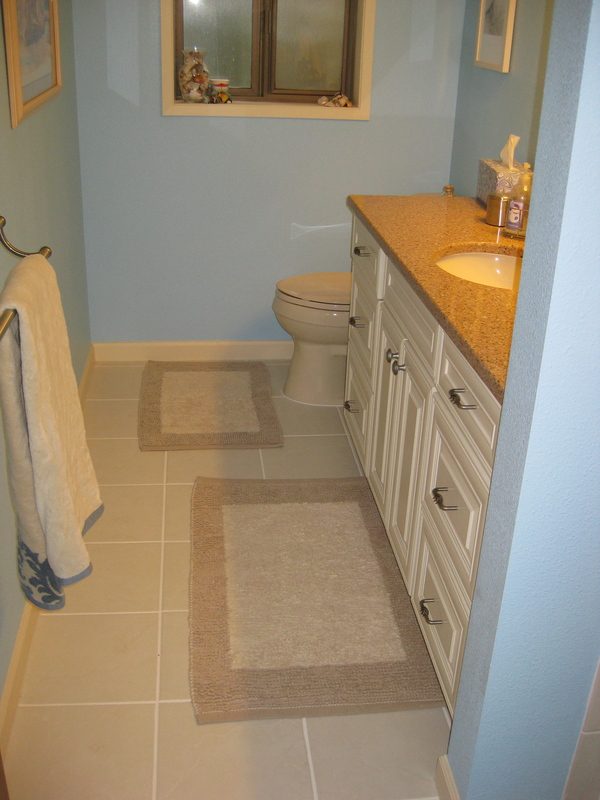 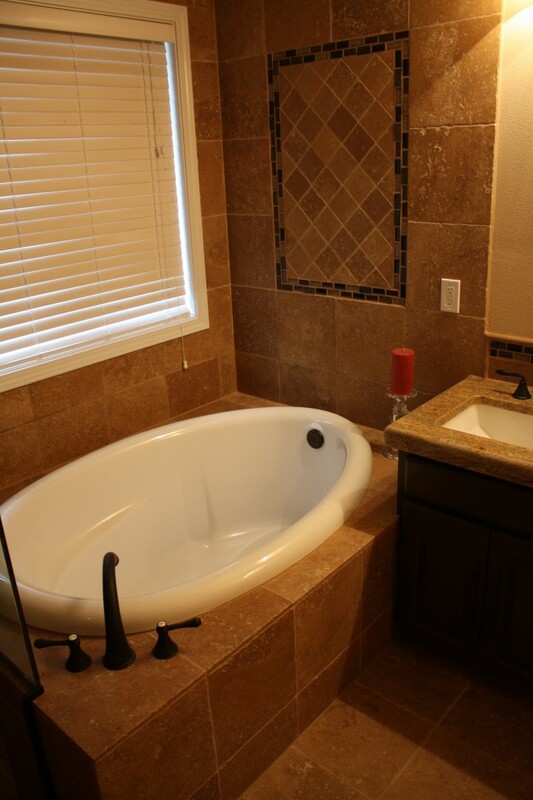 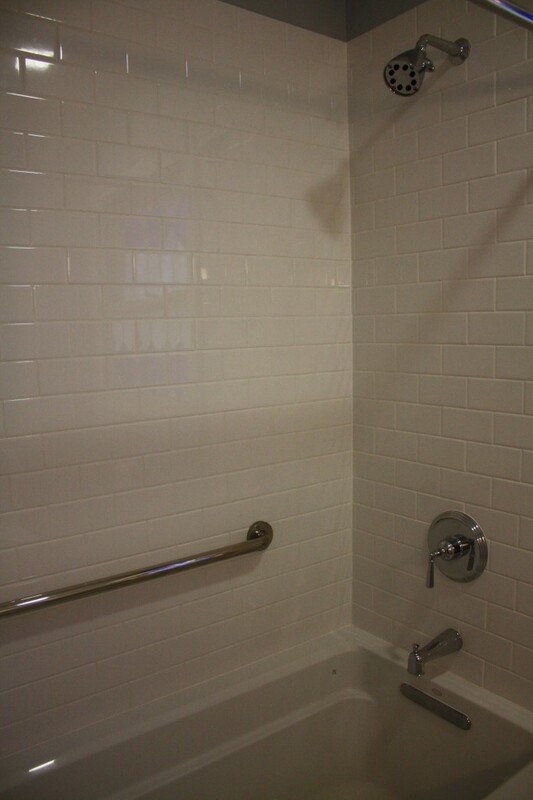 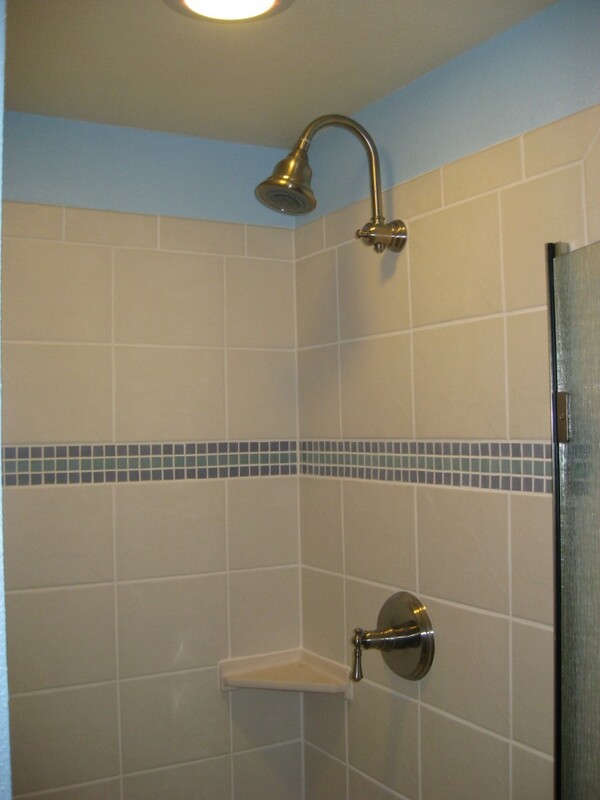 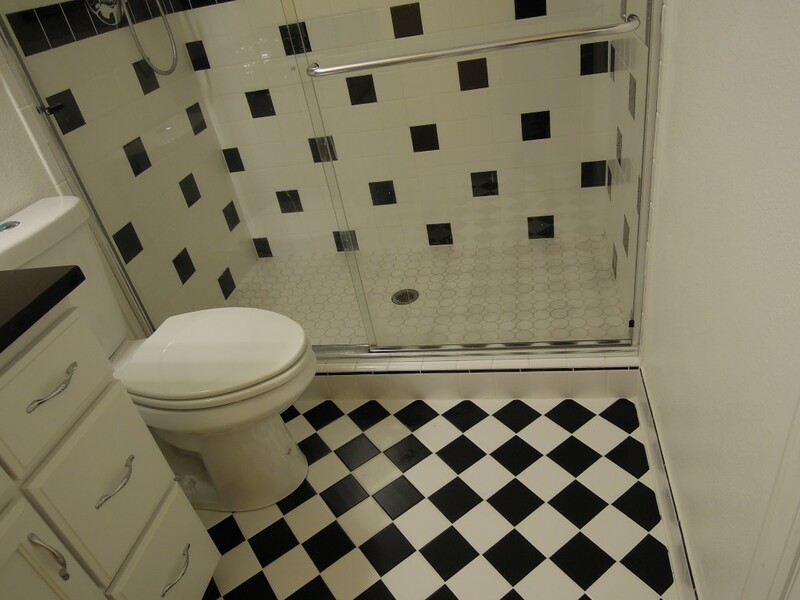 In this simple shower surround, the ceramic tiles complement the wall color and the rest of the bathroom. 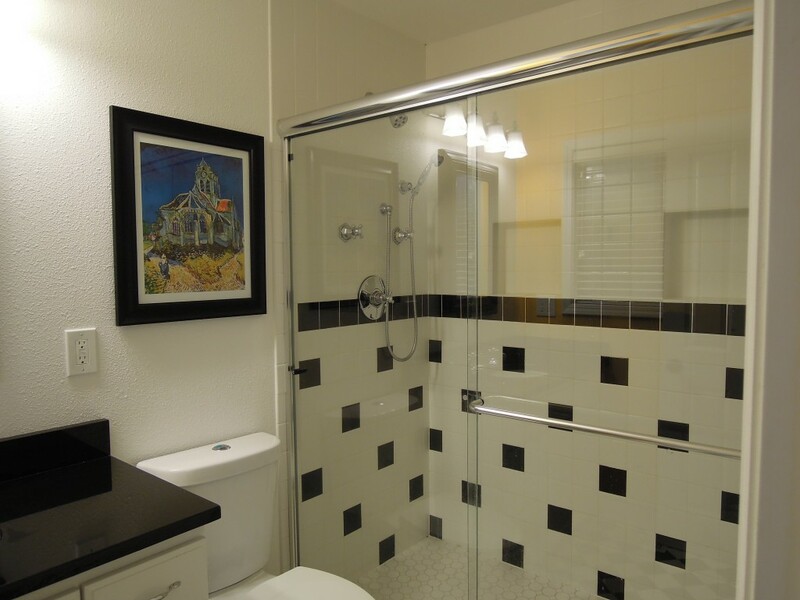 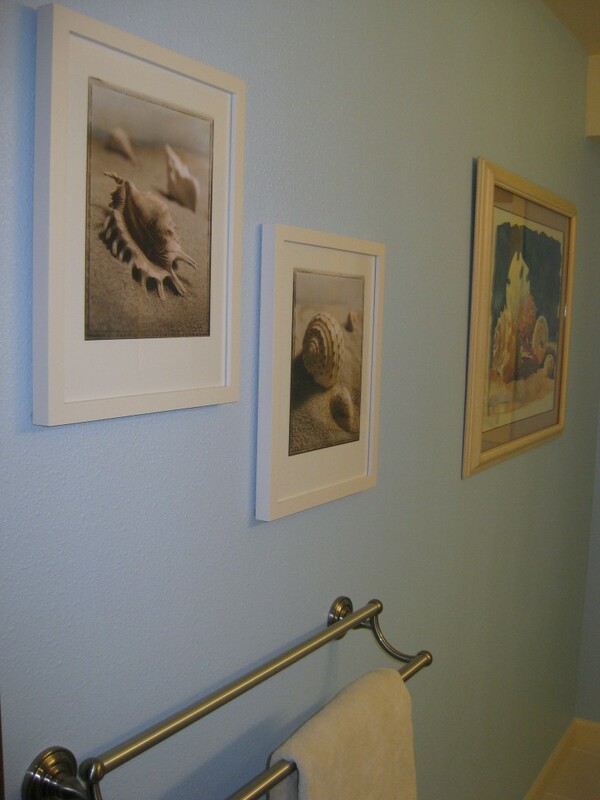 A touch of art gives this bathroom a cool ocean feel. 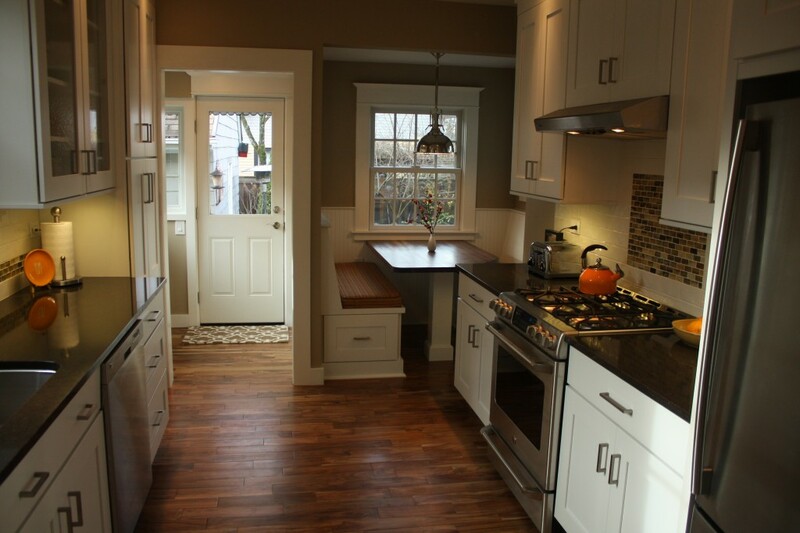 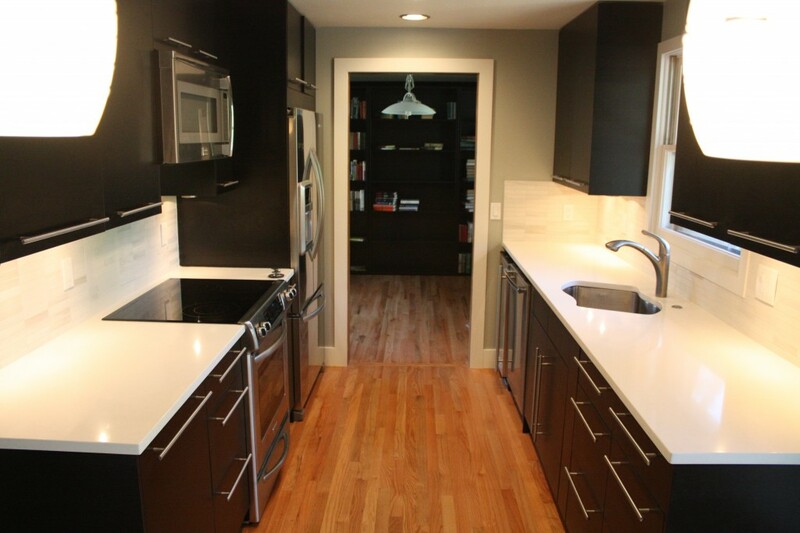 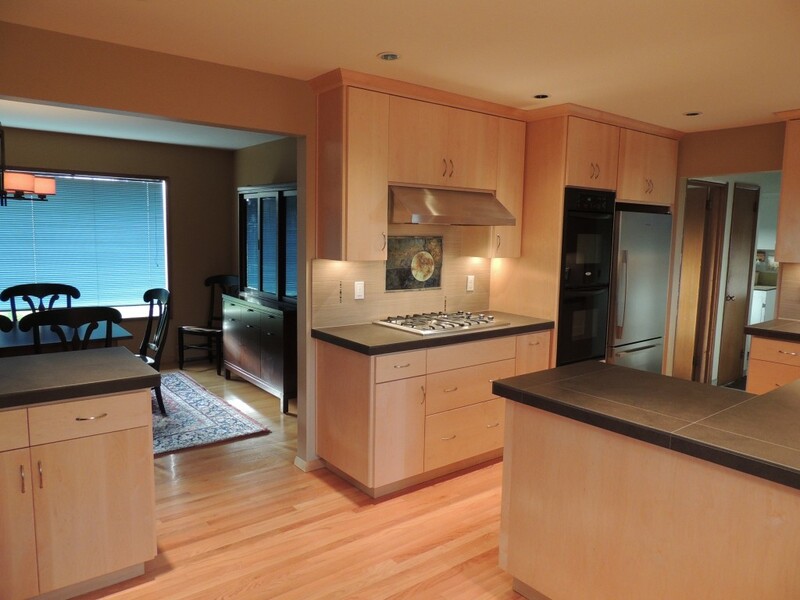 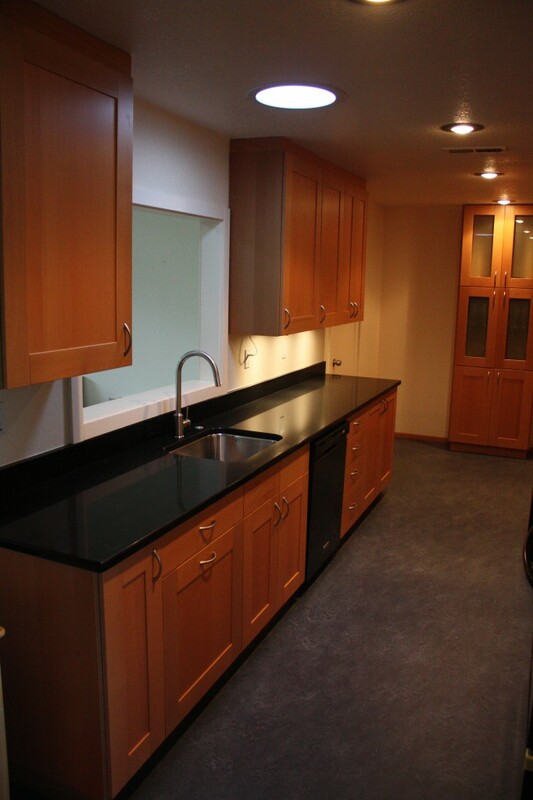 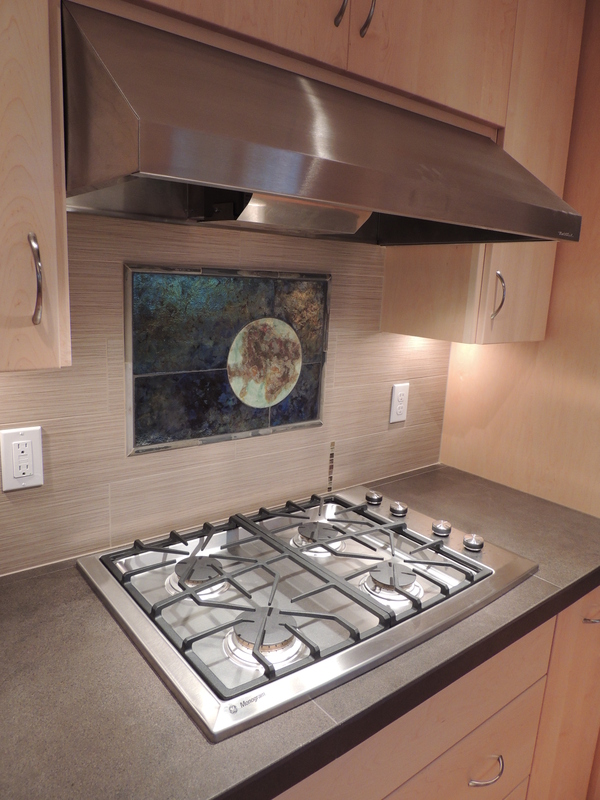 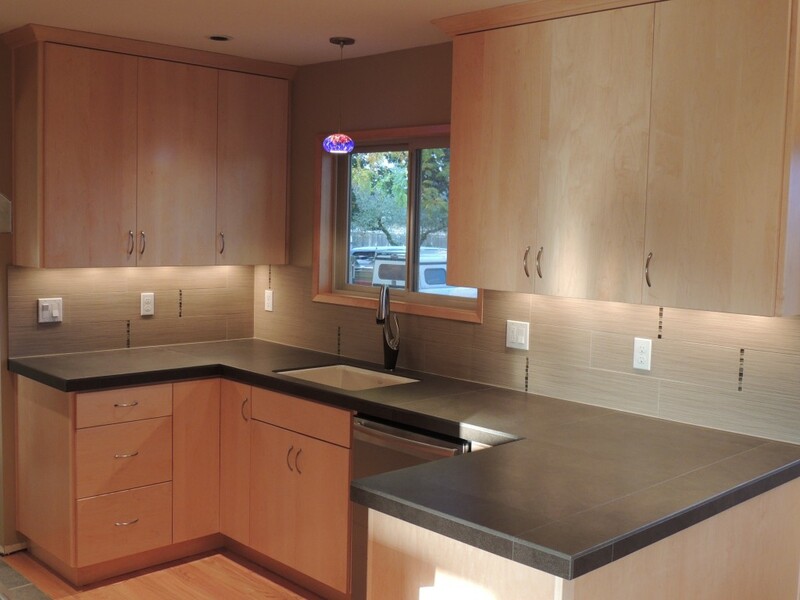 A hard wired under-cabinet lighting system was used in this kitchen. 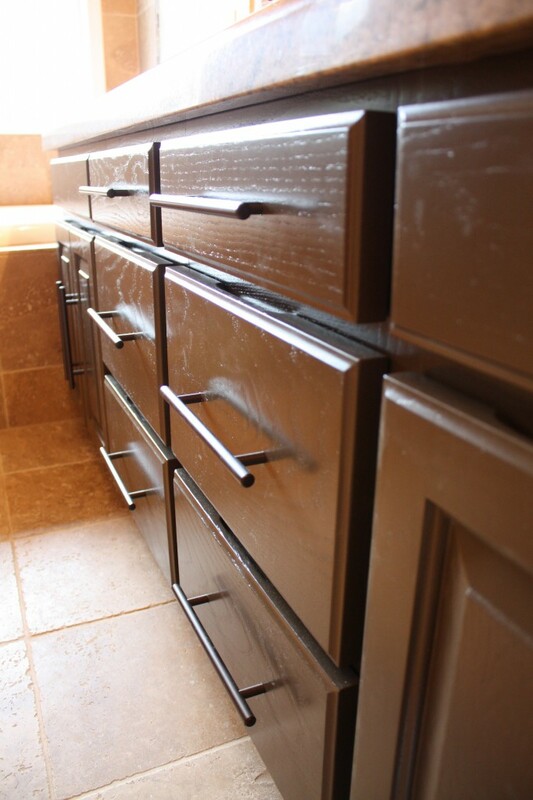 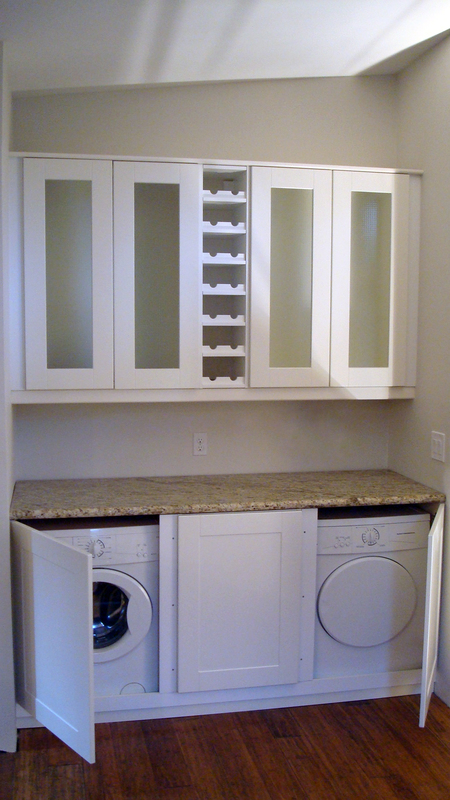 The round lights are unintrusive and the wire is not visible, even without a filler piece on the front of the cabinets. 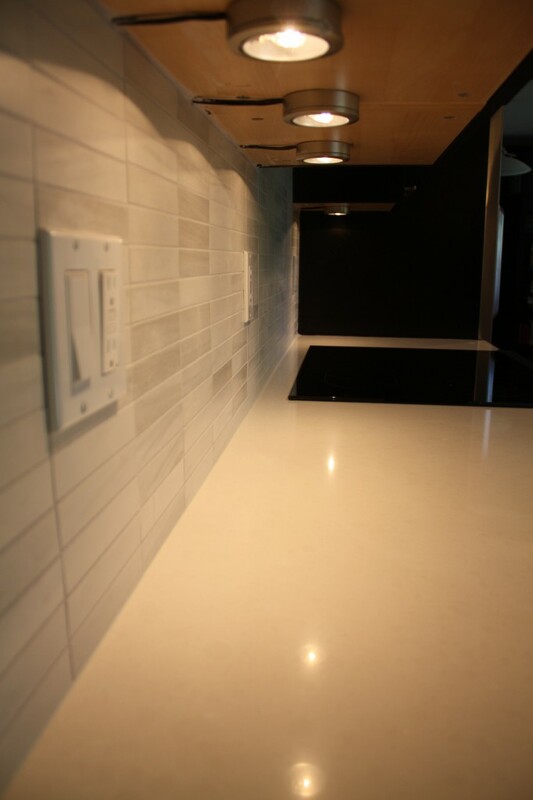 Adding a filler piece to cover the lights often takes away precious space between the countertop and the upper cabinets. 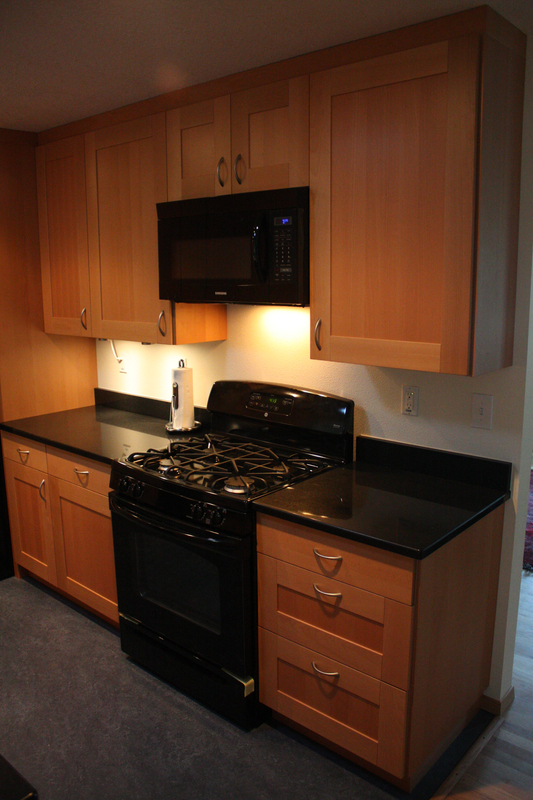 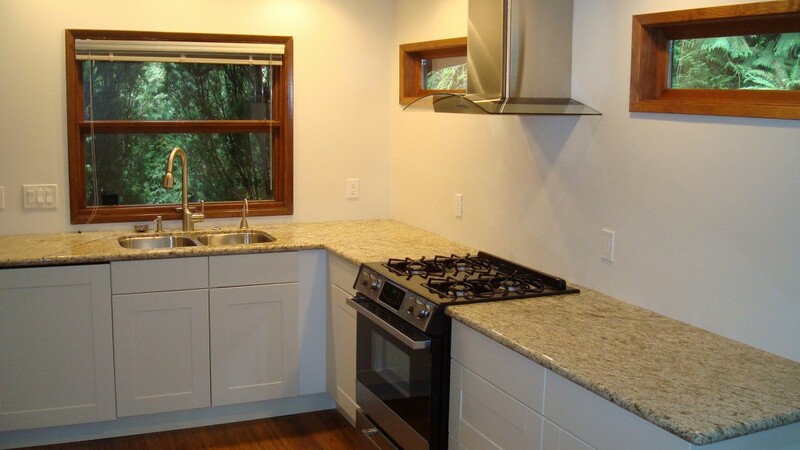 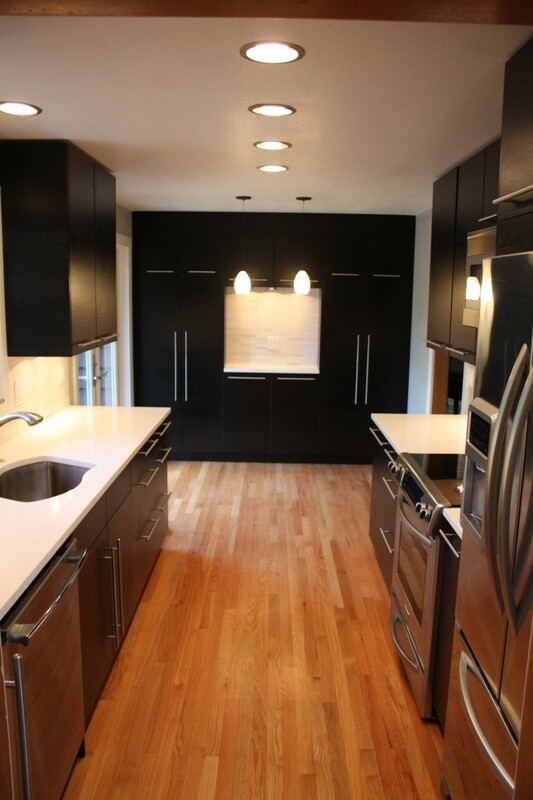 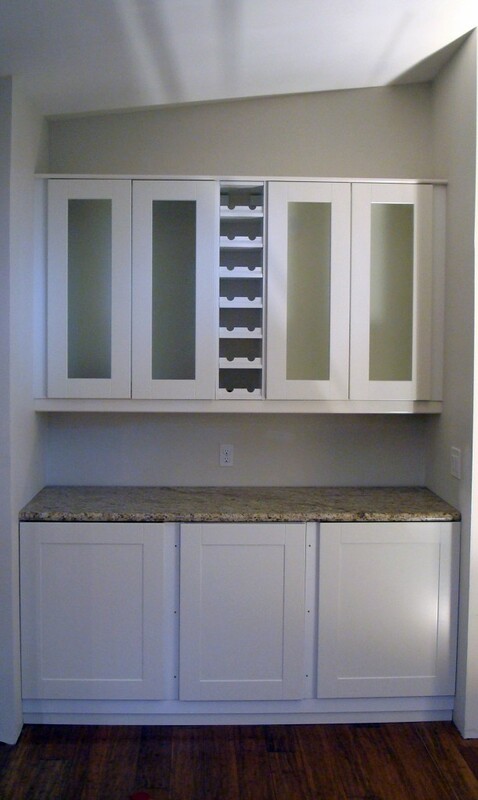 For a more contemporary look, within budget, kitchen cabinets from Ikea were used. 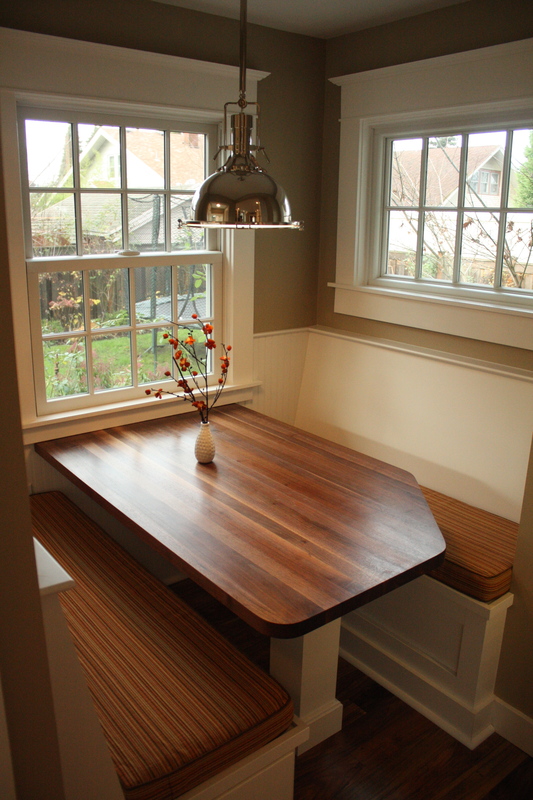 A well planned kitchen: the sliding door was replaced and moved about a foot to allow for a hutch to be installed on the back wall. 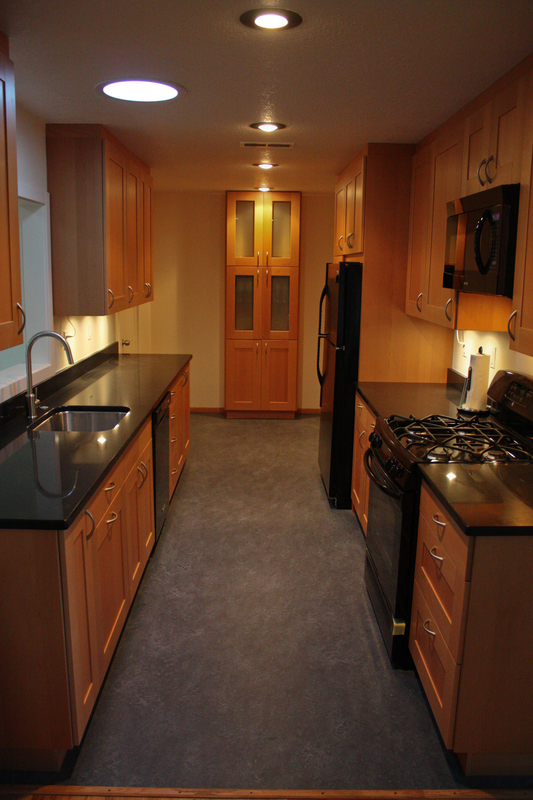 The lighting system is also completely new: symmetry is your friend.